MIDEST Morocco international industrial parts exhibition is to Morocco Industry Exhibition SISTEP based, and with the world's leading Industrial Subcontracting Exhibition MIDEST formed by combining the a new exhibition project. SISTEP as Morocco's only dedicated to subcontract, equipment and industrial supplies trade fair, starting 17 years ago; every year MIDEST in Paris, France held, is the world's top Industrial Subcontracting Exhibition. 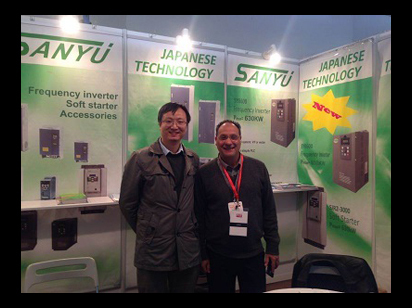 As the industrial machinery and equipment exhibition in Morocco only, the exhibition by the Morocco trade and industry, new technology department and the Ministry of foreign trade and economic support, and attract more international exhibitors. 2013 Morocco international industrial parts exhibition display area of 10000 square meters, than the previous growth by 50%), a total of 200 exhibitors from 12 countries, China, France, Germany, Italy and other, which international exhibitors accounted for 60% of the attracted visitors from 33 countries a total of 3917 people. 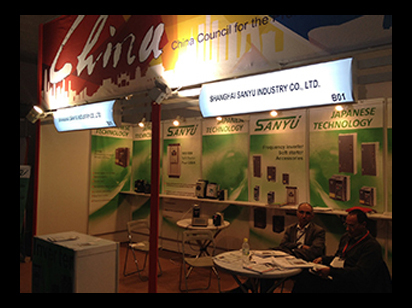 The Morocco exhibition, not only the depth of understanding industrial market in Africa, also contributed to the Shan Yu in the industrial automation industry brand publicity, further enhance the Shan Yu in the electronic equipment industry domestic brand image. The future, Yu Shan will continue with the independent research and development, improve product performance and reliability, improve service quality, to provide better products and more perfect solutions for customers to!